When it rains, it pours. And so can a clogged gutter. Cleaning your gutters is a simple home maintenance task that can prevent damage to your home. 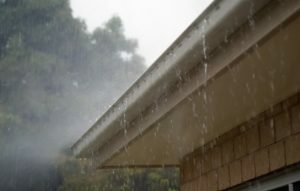 Overflowing gutters can often drain behind your fascia board and cause interior water damage to your walls or ceiling. So make sure your keep them clean and avoid having to file a costly water damage claim on your home insurance.